In response to the rise of data breaches and cyber attacks involving K-12 schools, the Arkansas Department of Education (ADE) has taken the laudable step of launching a new cybersecurity awareness campaign. 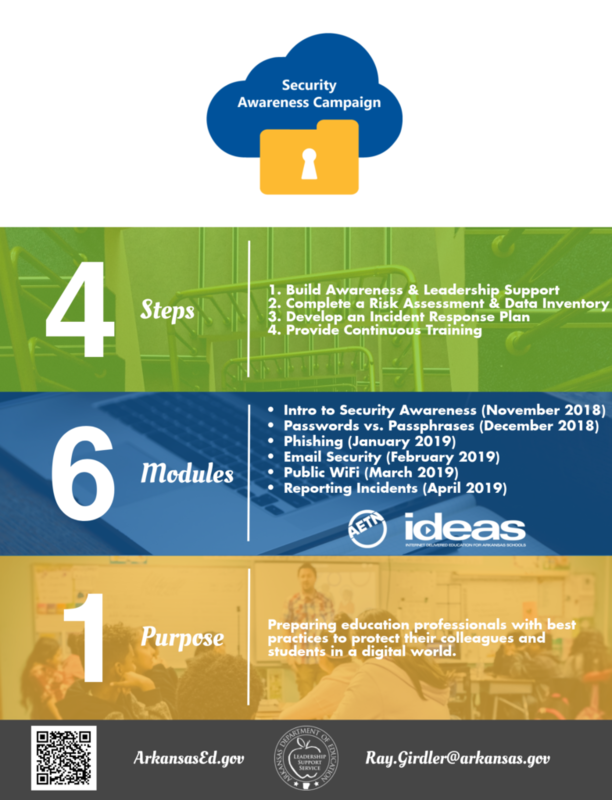 In addition to offering turnkey resources that local districts can employ in their own cybersecurity awareness efforts, ADE has partnered with ArkansasIDEAS to offer online, on-demand security awareness training for educators and administrators across the state. In launching this initiative, ADE is demonstrating one of the many productive ways that state departments of education can take up this important issue and support their districts and schools. Hopefully, it won’t be too long before we see other states follow Arkansas’ lead.